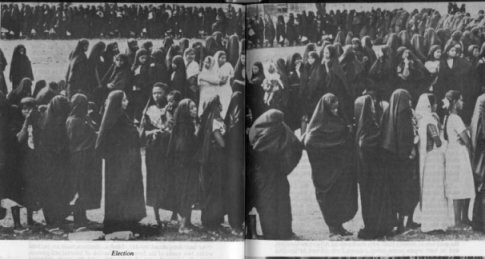 On the night of January 12, 1964 a band of some 300 people violently seized the Island of Unguja. They were led by a little known man named John Okello, who had lived on Pemba, having come to the Islands some years earlier from Uganda. In Zanzibar he developed a popular following among a core of young, tough men, many of whom were the Stevedores and Porters who worked the ships coming in and out of Zanzibar Harbor. His group met in secret. He promised changes to these men, fellows long used to working together, in sometimes dangerous settings, and ready to follow orders of any "captain" who could pay their fee. Theirs became a rebellion looking for a home. 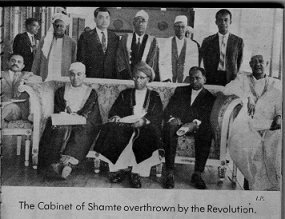 Political unrest had been increasing on Zanzibar and Pemba since the death of Sultan Khalifa in 1960. 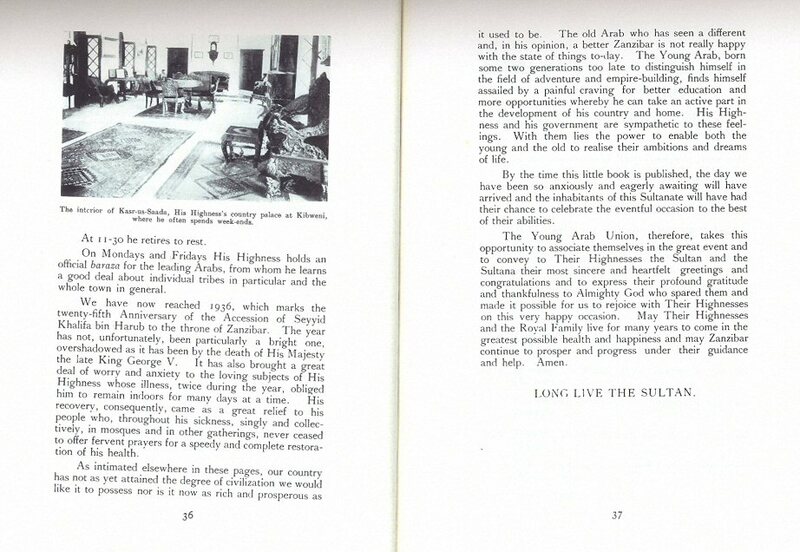 He had reigned in Zanzibar for almost 50 years, since 1911. After much jockeying for constituencies and coalitions the main political parties had narrowly split the two general elections of 1961 to the satisfaction of none. The British were leaving, their troops, including a contingent of Irish Guards, stationed near the golf course at the edge of Stone Town, pulled out in early 1963. 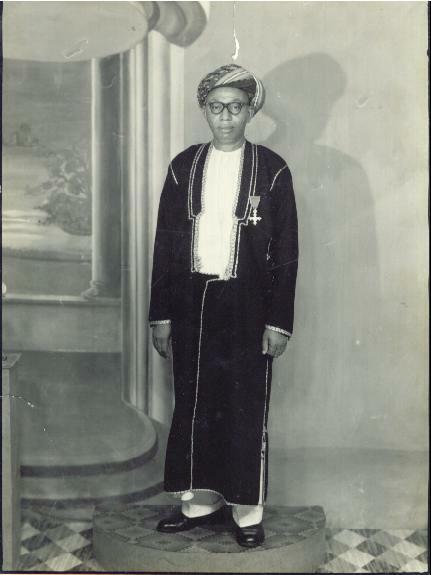 When the new Sultan, Jamshid, hoisted the flag of the independent nation of Zanzibar, on December 12, 1963, he marked the departure of the last British Resident, (Governor) of Zanzibar and the end of the Colonial period. 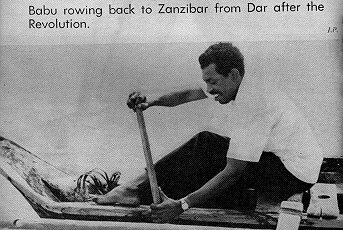 Another election in late 1963 had given a slim majority to a coalition of two political parties, the ZNP (the Zanzibar Nationalist Party) and the ZPPP ( the Zanzibar and Pemba Peoples Party). 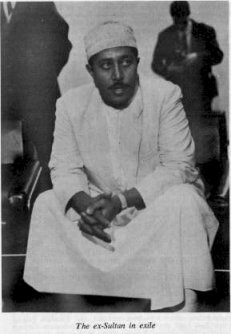 The ASP (the Afro-Shirazi Party) was to be in the minority in a British style parliamentary system with the Sultan serving as the reigning but not ruling "monarch". This Nation, a full member of the British Commonwealth and a newly enrolled sovereign member of the United Nations was destined to last only 33 days. Political debates raged and street demonstrations were not uncommon in those days. I remember bicycling to school through crowds chanting the names of political leaders and traveling in the country past road-blocks manned by British soldiers. The various factions debated everything; rights versus privileges, new-comers versus old established families, Capitalism vs Socialism, merchants vs landowners, Zanzibari's vs Pemban's, Asians vs Arabs, Swahili's vs Mainlanders, and all this against the backdrop of the Cold War and the other nationalistic and de-colonial movements abounding in Africa at that time. John Okello didn't have answers to these thorny issues, but he did have the insight to realize that all of these competing interests presented an opportunity for a man of action like himself. After all, a few hundred determined men might be able to seize the few local centers of communication and the three police barracks. Once he had those under his control and possessed the weapons stored there, who on the islands could throw him out? Would the politicians join together to denounce and oppose his illegal actions? Or as he hoped, would they continue to distrust each other, to suspect that one or another of themselves must have put him up to it? Would not they want to make a deal with him, quick, before someone else did? On that January night he rolled the dice. The ASP Party leaders, though surprised by Okellos' actions, (many were not even on the Island at the time) moved quickly to embrace the rebels. Hundreds of party followers were wiped into a frenzy by those eager to seize this opportunity to cut the Gordian knot of democratic debate and go straight to the prize of Ruling. They sought to gain the chance to remake society in accordance with their own ideals. Ideals were a dime a dozen in thosedays. Humanity was to become a much more costly item. Having seen just how vulnerable a government could be, and not trusting their own mixed record in open elections, it was clear to some ASP leaders that drastic measures were warranted to secure the survival of what was now being called "The Revolution". The mobs were unleashed. Law and order disappeared from the streets of Zanzibar. Landowners and merchants were dragged from their houses and shops, looting and killing spread throughout Stone Town. The City literally Sacked itself. Arabs and Asians, who had supported the other Parties in large numbers, were killed indiscriminately. In a single night uncounted lives were lost and over the next few days thousands more fled the Islands with only what they could carry. 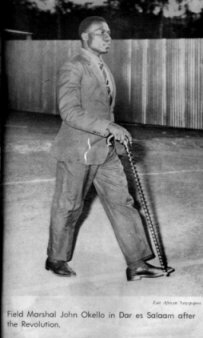 John Okello established for himself the rank of "Field Marshall" and, with his mob-battalions, established a reign of terror on the Islands. He broadcast bizarre threats and promises of death to all who might oppose him. He believed he was touched by God and demonstrated an eccentric attachment to symbolic numbers. For example on January 13, 1964, he broadcast the following messages: "The government is now run by us....should you be stubborn and disobey orders I will take measures 88 times stronger than at present." and, "If anyone fails to comply... and locks himself in a house, as others have done...I have no alternative but to use heavy weapons. We, the army have the strength of 99,099,000." His threats and his ability to act on them, panicked citizens, especially minority groups of all types. On January 14, 1964 he broadcast these chilling words. "Here is the Field Marshall of Zanzibar and Pemba....I am thinking of going to Mtendeni (village) to destroy it if the people there do not obey orders. After 40 minutes I am coming to finish you off, especially the Comorians". And "To all Arab youths living in Malindi; I will pass through Malindi armed with weapons of which I alone know. I want to see everyone stripped to his underpants and laying down. I want to hear them singing...father of Africans. God bless him in his task and that of the Field Marshall." When the dust settled the multi-cultural diversity of the Islands was radically altered. A One Party State was decreed. Still nervous regarding the possibility of resurgent opposition from their now exiled opponents, the "revolutionaries" further secured their positions by signing an agreement of confederation with mainland Tanganyika. This would allow thousands of mainland political allies to intervene in any future struggle. The police forces on the Isles were virtually replaced by mainland police loyal to the Party and an isolationist curtain fell over the Isles which was destined to persist for morethan 20 years. Today that curtain is being lifted. The end of the Cold War and the drive for economic modernization has again opened Zanzibar to the outside world. Multi-party elections were held in 1995 and 2000, more are promised in 2005. A government of more pragmatic and honest leaders has developed in Tanzania and some of the exiles from the revolutionary times are returning to the Islands. The peaceful tolerance of diverse peoples, which was always a feature of Zanzibari life, is now struggling to return to the streets of Stone Town.